The weather was kind to us. The well prepared course looked great for running and the Club’s athletes ran to the best of their ability. The whole event had a sporting competitive atmosphere and this made for an enjoyable day. 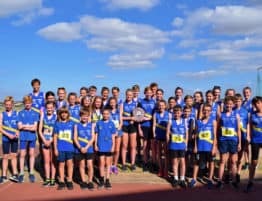 Congratulations to all our runners and the officials and parents who gave their support to the day. U11 BOYS won the Silver Team Medals with Joe Carrotte 3rd, Robin Smith 11th, Mert Ozguder 13th and Daniel Smith 20th. Well done Joe Carrotte on winning the Bronze individual medal. U11 GIRLS won the Bronze Team Medals with Madeleine Cartwright 4th, Emily Blythe 7th, and Libby Arnett 13th. U13 BOYS Well done Ben Muir 7th, Dominic Cartwright 12th, William Parker 18th. (4th Team) U13 GIRLS won the Silver Team Medals with Ella Greenway 1st, Robyn Greenway 3rd, Charlotte Davies 15th. Well done Ella Greenway on winning the Gold individual medal and well done to Robyn Greenway on winning the Bronze individual medal. U15 BOYS Well done to William Gale on winning the Silver individual medal and to Lewis Phillips 5th place U15 GIRLS won the Gold Team Medals with Devon Low 4th, Amber Laycock 9th, and Jessica Jex 10th. Commiserations to Francesca Yates who had to drop out on the course due to injury. U17 MEN Well Jordan Carlile 5th and U17 WOMEN Well done to Molly Ward 7th. U20 MEN Well done to Luke Nuttall 5th place. SENIOR / VET MEN Well done David Thomas 12th, David Burrell 22nd, and Jimmy Dutch 58th SENIOR / VET WOMEN Well done Joanna Evans 16th, Lorraine Burrell 20th and Kathryn Avison 25th 5th. Team place. 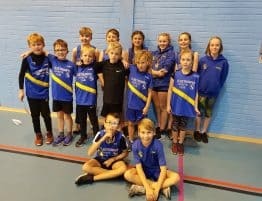 We also had several runners in the LIncolnshire Championships and await their results. 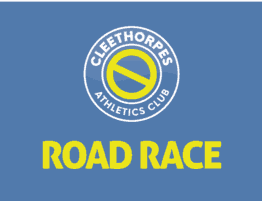 Full results of the Humberside Championships will be on the Club web-site.